Chef Stadtländer Fundraiser October 18th. 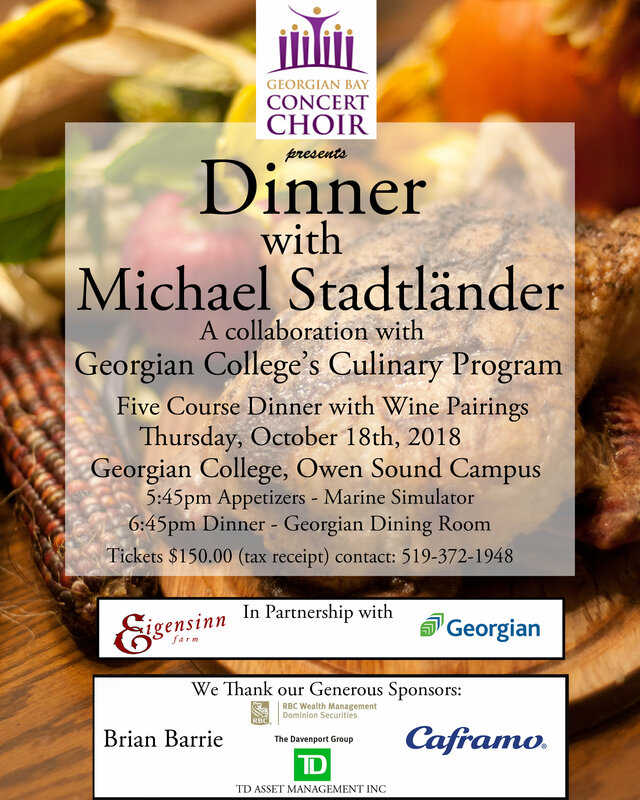 Michael Stadtländer of Eigensinn Farm has graciously agreed to assist in a choir fundraiser along with Georgian College Culinary students. The event will be held at the Georgian College Dining Room Thursday October 18, 2018 starting 5:45 pm. Click here for a full-size poster. Tickets are $150 each of which $75 constitutes a donation receipt. Space is limited to 60 seats; tickets will sell fast. Contact Margaret Anderson (519-376-7001) or Vicki Tichbourne (519-372-1948) for tickets.